Teaching children how to be safe when using the internet is a key element of our E-Safety programme. All year groups have lessons each year which teach them about some of the potential dangers when using the internet. They are taught key safety rules using a variety of different activities that are appropriate to their age. All children and their parents sign a responsible internet usage policy when starting the school. 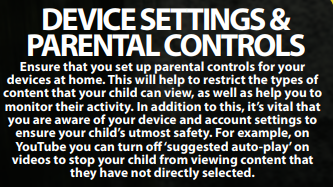 Advice on keeping your child safe when using the internet can be found in the downloadable leaflet below. Social networking sites such as Instagram, Snapchat and Twitter are very popular with young people (even those of primary age) as they allow young people to be creative online and keep in touch with their friends. However, (unless the site is specifically aimed at younger children) these sites stipulate a minimum user age of 13 as they are not suitable for children below that age. Please see further information and guidance in the leaflet below about young people and social networking. How are primary schools supporting children's online safety? There has been a lot of discussion in the press this week regarding what children are being exposed to on the internet. Remember that it is very important to chat with your children on an ongoing basis about staying safe online. If you’re not sure where to begin, these conversation starter suggestions can help. 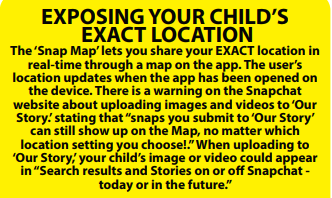 · Ask your children to tell you about the sites they like to visit and what they enjoy doing online. 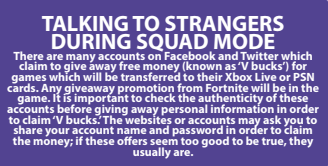 · Ask them about how they stay safe online. What tips do they have for you, and where did they learn them? What is OK and not OK to share? · Ask them if they know where to go for help, where to find the safety advice, privacy settings and how to report or block on the services they use. · Encourage them to help someone! Perhaps they can show you how to do something better online or they might have a friend who would benefit from their help and support. · Think about how you each use the internet. What more could you do to use the internet together? Are there activities that you could enjoy as a family? Keeping the dialogue open with your children is crucial so that if they do see something upsetting online that they will be able to talk to you about it both at this age and as they get older. Please see the attached guidance sheets about some of the very popular games and sites used by children at this time. Please check back here for further updates throughout the school year.